Please include name to be added to your tag | sticker. = Proof will be messaged in 2 business days. 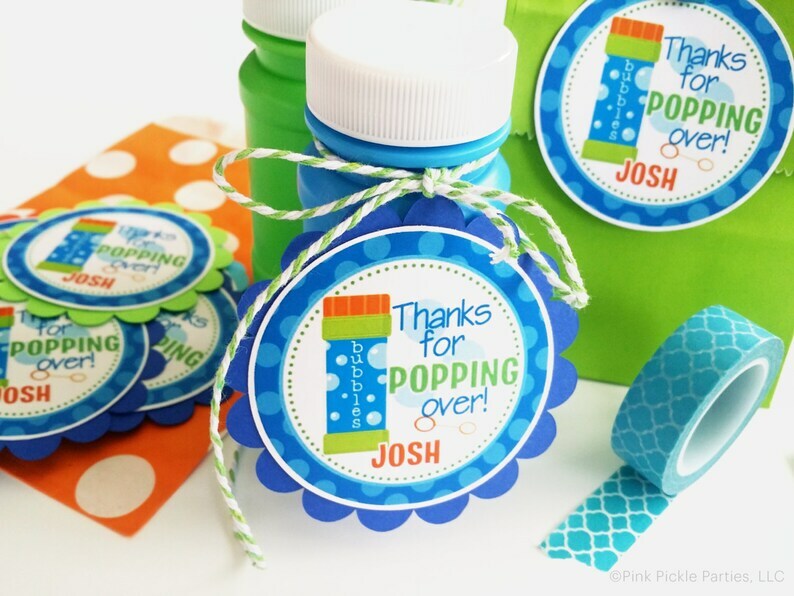 Our favor tags and stickers are a fun way to thank your guests for helping you celebrate. 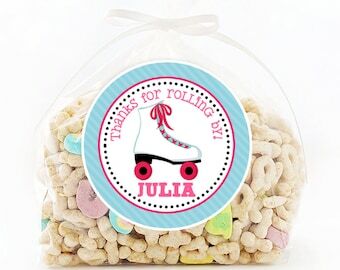 All tags + stickers are personalized by us with the name of your choice. We offer a few printing options to help with your needs. • • Stickers - printed on white matte sticker paper and come cut and ready to peel & stick to your favors. • • Round favor tags - printed on 140lb. card stock. Holes can be punched upon request. Ribbon is NOT included. • • Scalloped Tags - printed on 140lb. card stock. Tags are attached to 3" scalloped colored card stock. Holes can be punched upon request. Ribbon is NOT included. • • Printable / Digital File - PDF will be personalized + emailed to you. File is set up to print on 8.5"x11" card stock or sticker paper. If printing as stickers, buy full sheet label paper with NO pre-cuts. They are not formatted for any specific Avery label sheets. • Orders are printed + shipped within 2 business days from approval. • Free First Class shipping is included to the USA, shipping upgrades are available during checkout. Such a great experience! Fast, responsive and the product is such great quality. I also loved that a proof of how it will look was sent to me to approve or make changes. Beautifully packaged and attention to all the details. I would definitely buy with this business again! Very cute! Exactly as described.